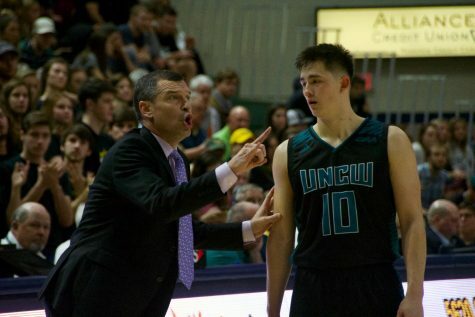 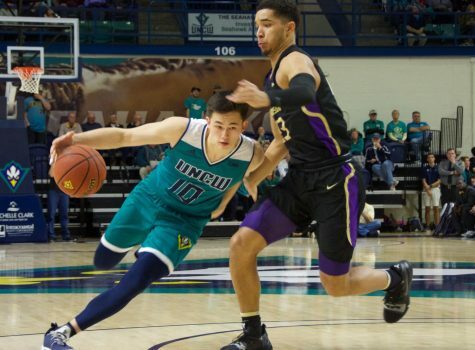 Kai Toews (10) attempts a game-winning layup during UNCW's 77-76 loss to Towson on Jan. 31, 2019. 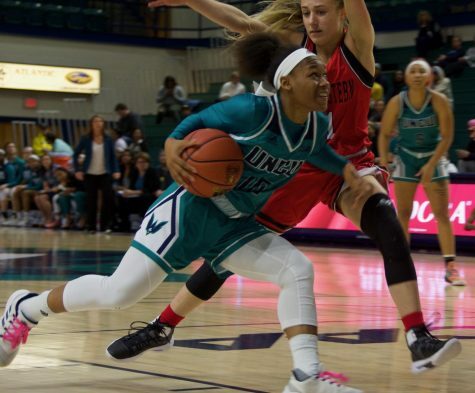 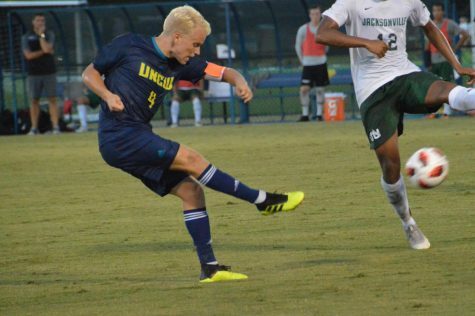 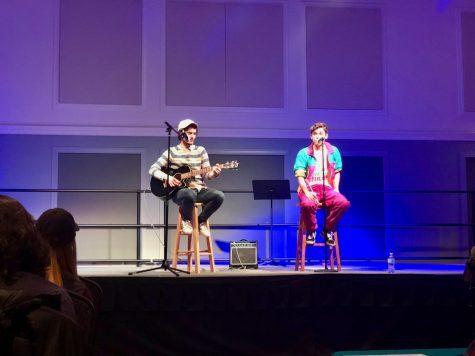 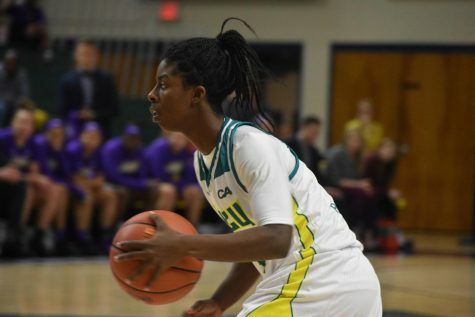 UNC Wilmington (8-16, 4-6 Colonial Athletic Association) hosted Towson on Thursday night. 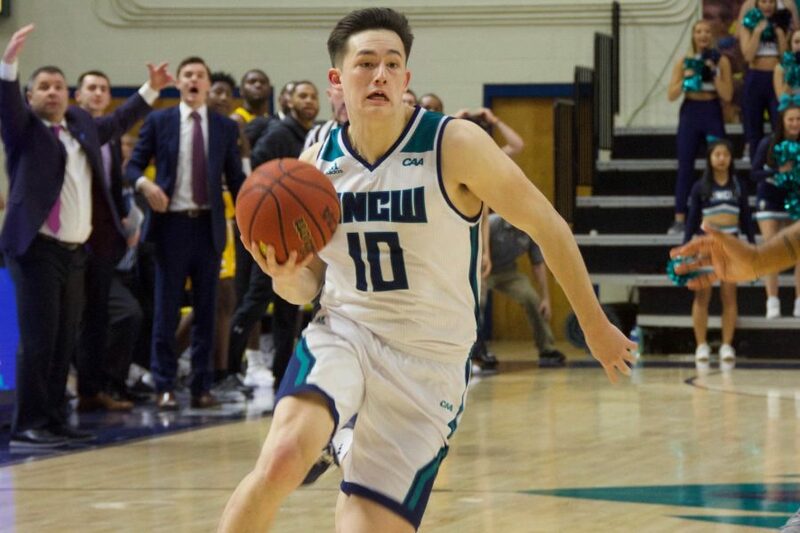 The Seahawks battled back from a 14-point deficit before taking a 76-75 lead off a Jaylen Fornes free throw. 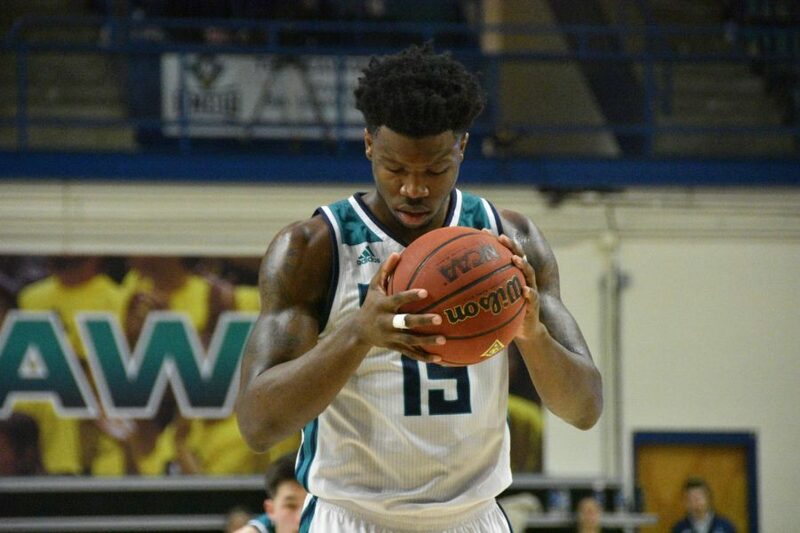 With five seconds to play, the ‘Hawks fouled junior guard Brian Fobbs who would sink both free throws giving the Tigers (8-15, 4-6 CAA) a 77-76 lead and the win. 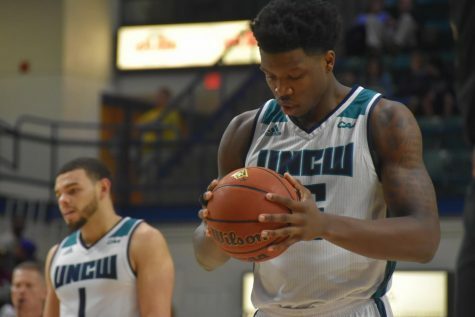 Devontae Cacok (15) preps for a free throw during UNCW's matchup with Towson on Jan. 31, 2019.